The City of San Francisco Recycling Program needed help to comply with a state mandate to reduce the waste stream by 50 percent by the year 2000, by increasing recycling rates. As a subcontractor to public affairs agency Barnes, Clarke, Inc., Merry Ann rolled out a strategy to motivate low-participation neighborhoods to get in the habit of recycling. A drawing for 1,000 free Major League Baseball tickets. Residents who filled out bilingual recycling participation cards were eligible to win tickets donated by the San Francisco Giants. 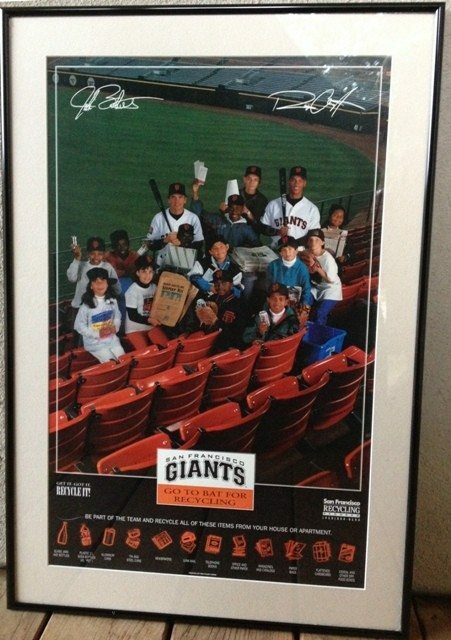 A poster picturing local children, pro ball players and the 12 recyclables, which was distributed in community centers and Boys & Girls Clubs in targeted neighborhoods. The effort contributed to the City of San Francisco achieving its 50 percent waste stream reduction goal in 2000. The Giants have continued to lead the sports industry in recycling programs that reduce environmental impacts. 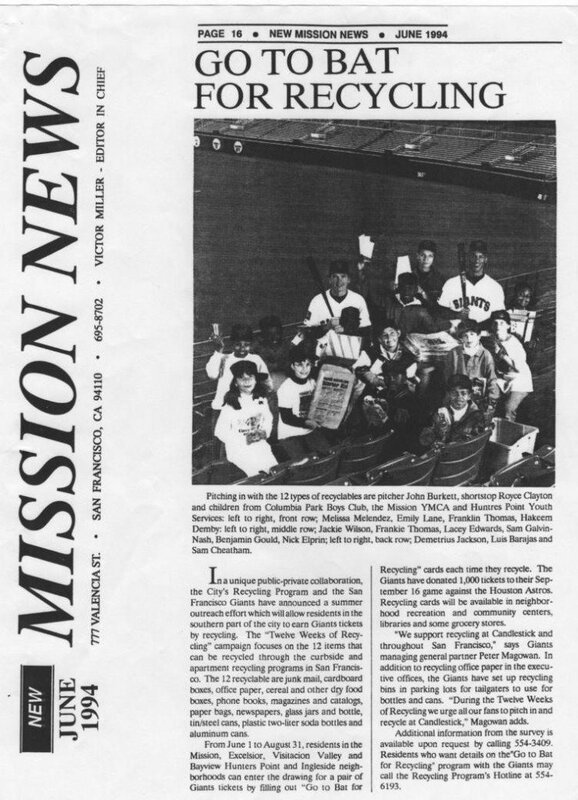 Moore Creative helped forge a dynamic public-private partnership between the San Francisco Recycling Program and Major League Baseball’s San Francisco Giants to promote recycling in multilingual neighborhoods.